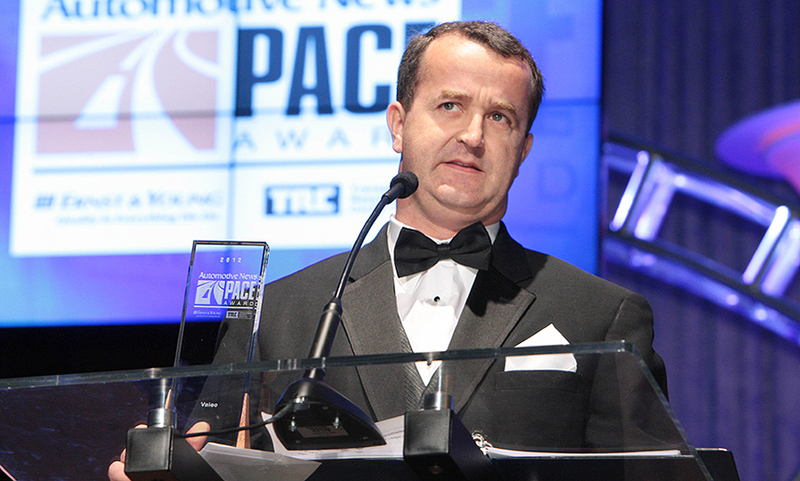 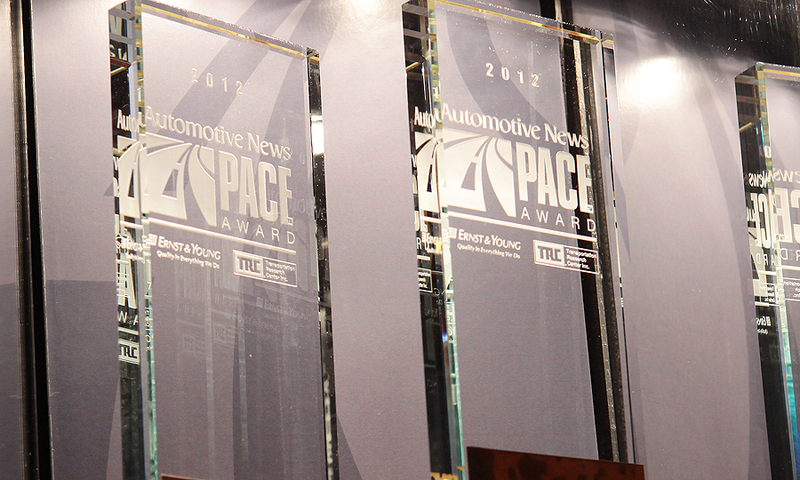 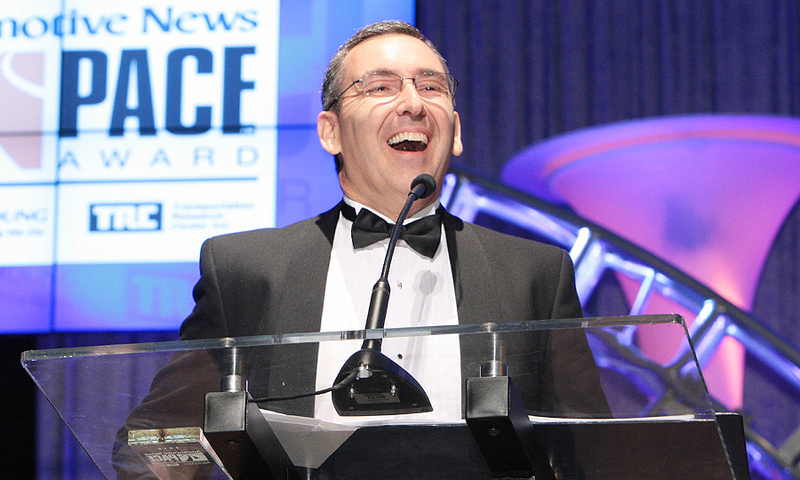 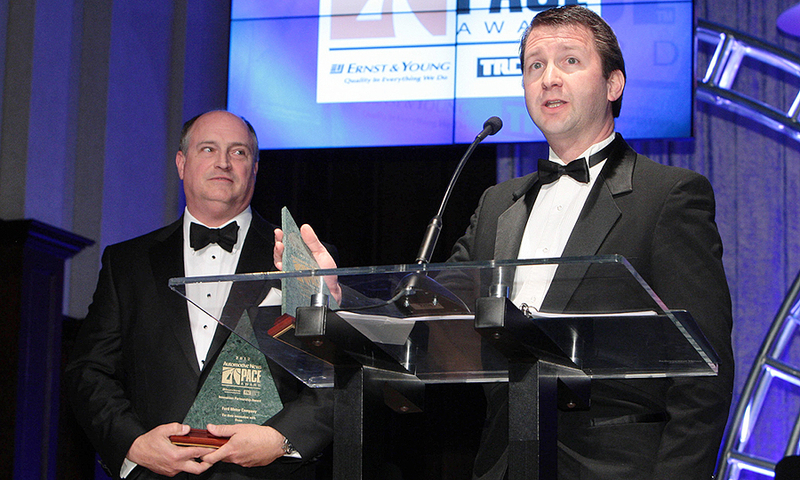 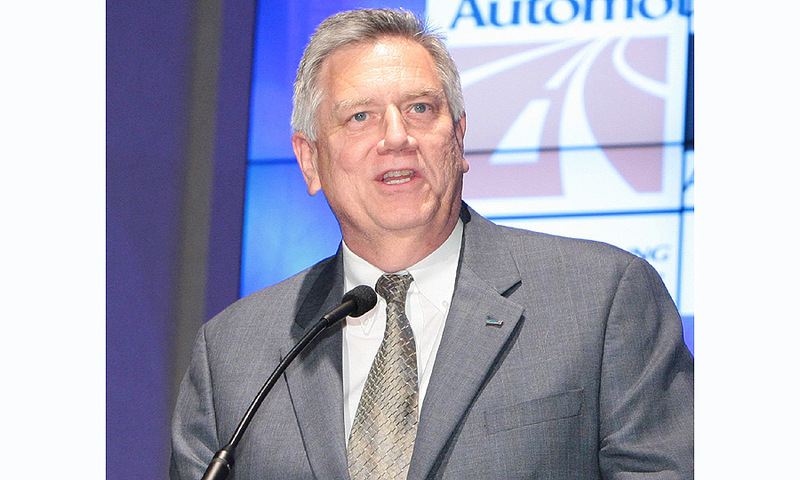 2012 Winners of the Automotive News PACE Awards were named Monday, April 23, in Detroit. 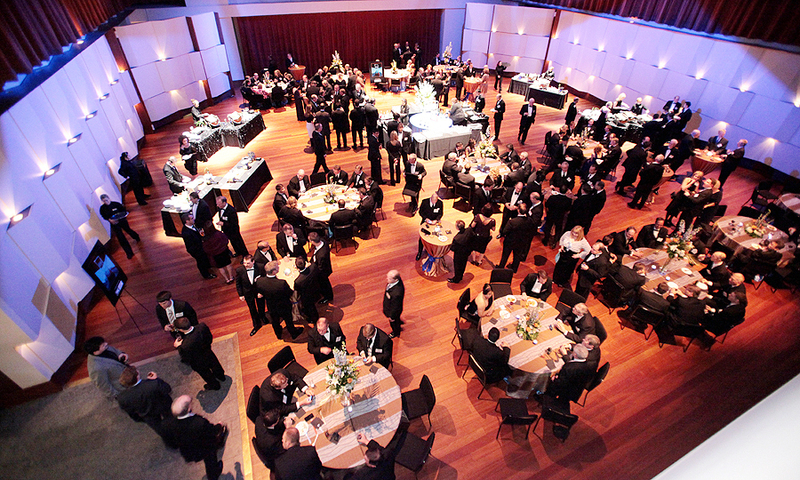 Finalists gather at the Max M. Fisher Music Center in Detroit. 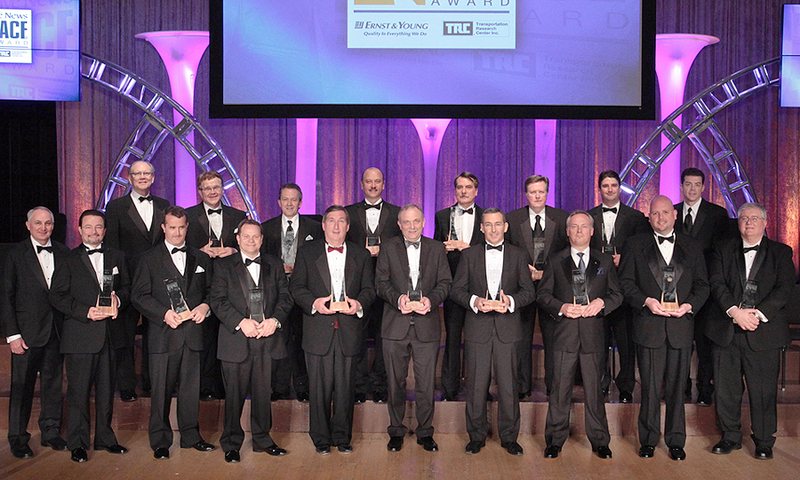 PACE winners: Back row (from left): Automotive News Publisher Peter Brown; Joe Miknevich, Nalco; Paul Brown, Hendrickson Auxiliary Axle Systems; Matt Marek, PPG Industries; Glan Maria Olivetti, Federal-Mogul; Gerald Grabowski, Lear; Chris Marcus, Esys Automation; Jeff Sprague, TRC Inc., Front row (from left): Mike Hanley, Ernst & Young; Stephen Duca, Delphi Automotive; Antoine Doutriaux, Valeo; Larry Kerr, Magna Mirrors; Jim Bertrand, Delphi Automotive; Kurt Kirsten, Schaeffler Technologies; Peter Davies, Honeywell Turbo Technologies; Frederic Lissaide, BorgWarner Turbo Systems; Thomas Beshke, Methode Electronics; Gregory Piserchia, 3M Automotive. 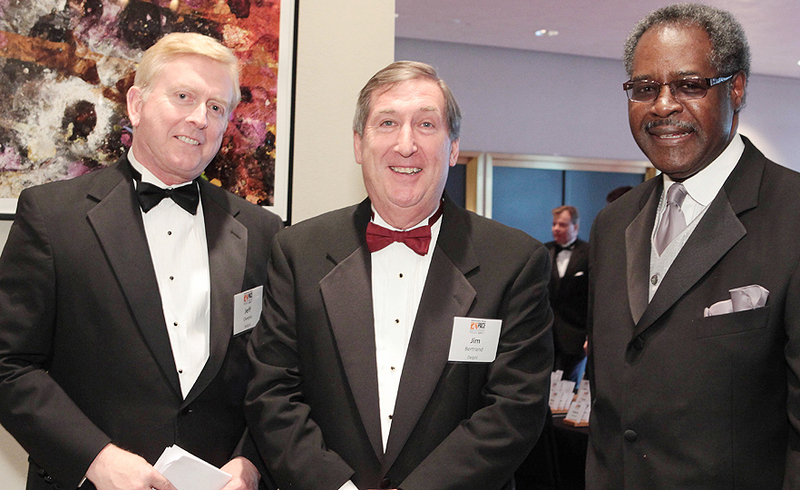 Dwayne Matthews, left, Dana Power Technologies Group and Jim Gooden, Ford Motor Co. 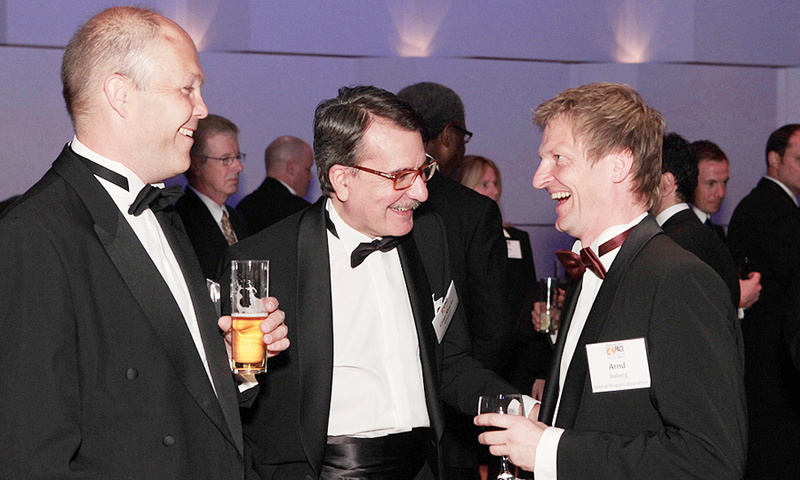 Participants share a laugh at the reception.